This post is brought to you by the Kroger Co. As always, all opinions are my own. How would you like to save money on gas AND get some Christmas shopping done?! Well, you’ve come to the right place because I have the details for you so keep reading! 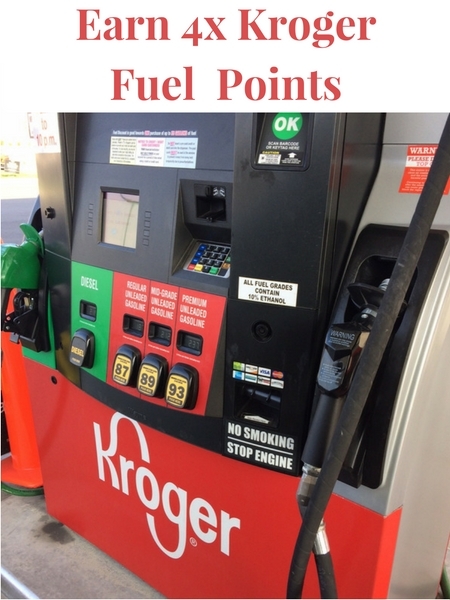 For three full weeks you can earn 4x Kroger fuel points on 100’s of gift cards at Kroger. That’s right, from November 20-December 10 your gift card purchases* will earn you 4x Kroger fuel points. Now that’s what I’m talking about! 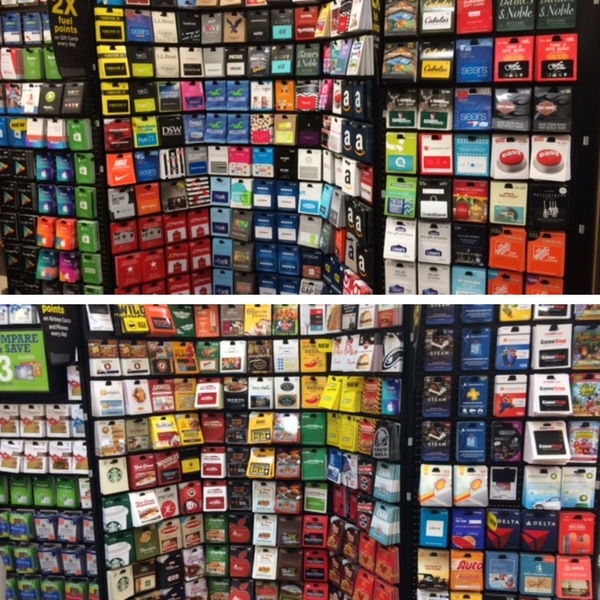 Shop the Kroger Gift Card Display in store and stock up on tons of gift cards. Check your receipt for your additional fuel points. Stop by the Kroger gas station on your way out, fuel up and save big! I was blown away at the huge gift card selection to choose from! Not only were there tons of restaurants to choose from (Panera, Starbucks, Wendy’s) but clothing stores (Kohl’s, Belk, Nike) and everything in between (Amazon, Google Play and much more). As you can see, there’s something for everyone! Go ahead and check that picky co-worker or hard to buy for family member off of your gift list with a gift card to their favorite store. 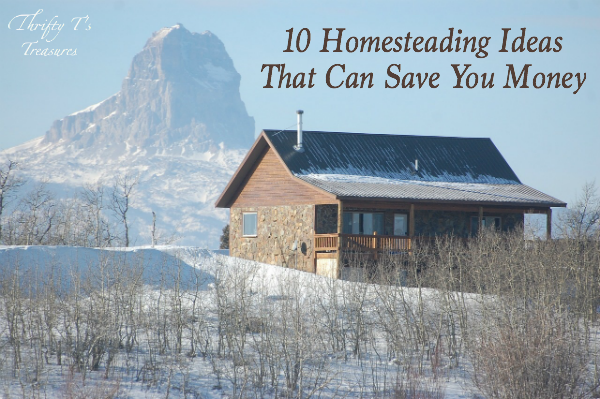 They’ll never know that you were also able to save money on gas and fill up your tank for pennies on the dollar…shhh, it’ll be our little secret. While you’re at it, why not think outside the box and get some gift cards for yourself too. What in the world do I mean? Well, I’m glad you asked! Do you eat out at a particular restaurant or shop at a particular store on a regular basis? 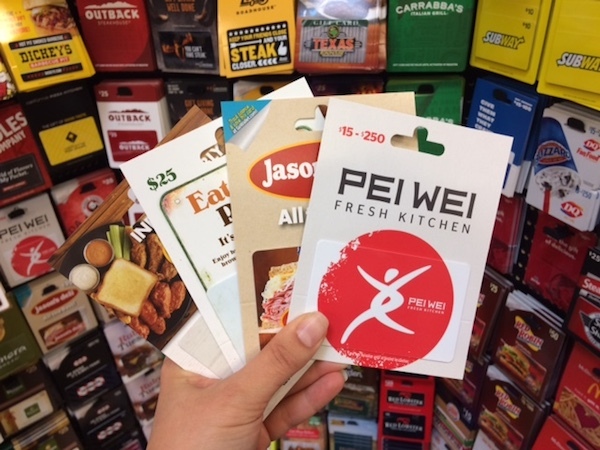 This is the perfect time to stock up on gift cards that you can use throughout the year (or on your Christmas shopping) AND save money on gas! These are the gift cards that I snagged for our family. We already eat at these restaurants so I can take the money out of my dining budget and also save money on gas! Yes, I was really able to get my gas down to $1.27 per gallon! Woot! I purchased $100 in gift cards which gave me 400 points. When I paired that with the 200 fuel points I had already accumulated I was able to lower my gas by $.60 a gallon. So what are you waiting for? 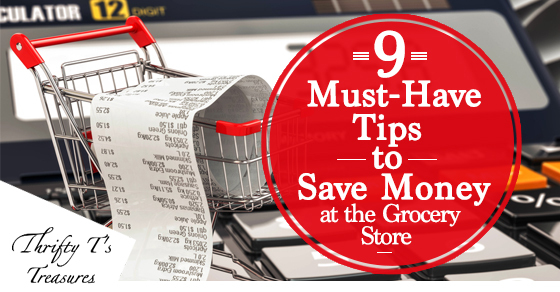 Head over and load this digital coupon to your Kroger loyalty card and start shopping (and saving)! *Exclusions: This offer applies to Third Party gift card purchases only, for example gift cards to other retailers, restaurants, etc. 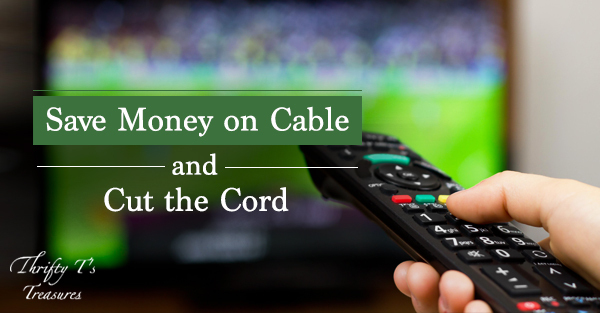 as well as Visa, MasterCard and American Express cards in $25, $50, $100 denominations. Offer does not apply to purchases of Kroger Co. Family of Stores gift cards, handsets or gift cards where you choose your amount and can reload. 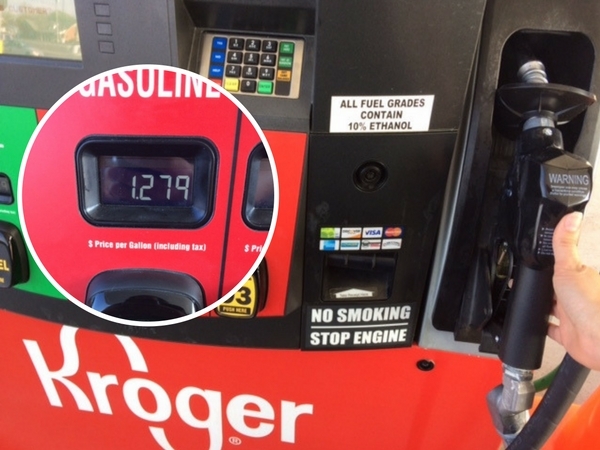 If you’re new to Kroger Fuel Points, check out this short video and learn how to save money on gas every day! This deal ends December 10.